Discussion in 'Mapping Questions & Discussion' started by cookiesurvival, Aug 21, 2015. 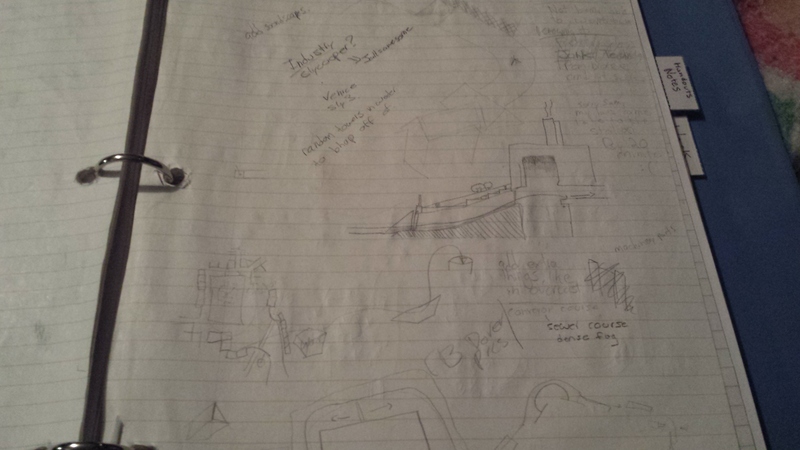 What is your Map Sketch? 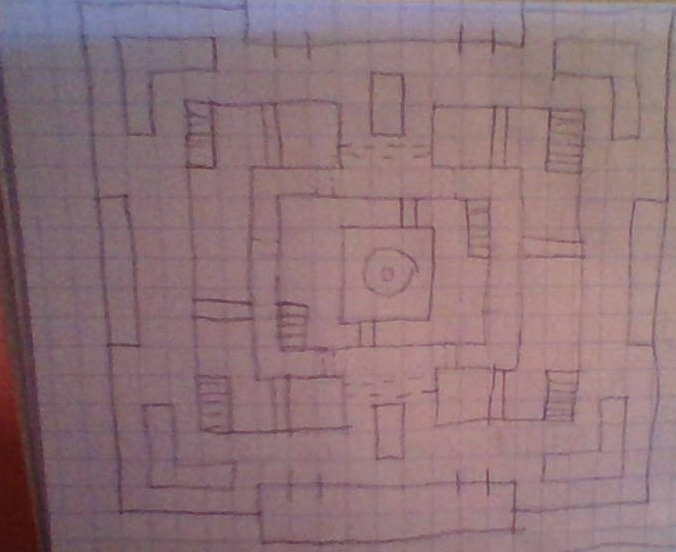 Not all map ideas get fully implemented into their maps, sometimes they might not even finish their maps to implement their ideas. 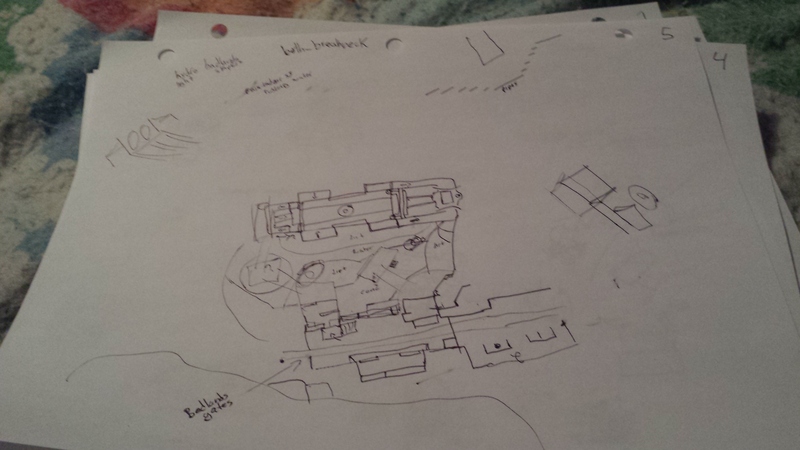 So I'm taking a risk and ask, what is your sketch of your map that your making or already made? 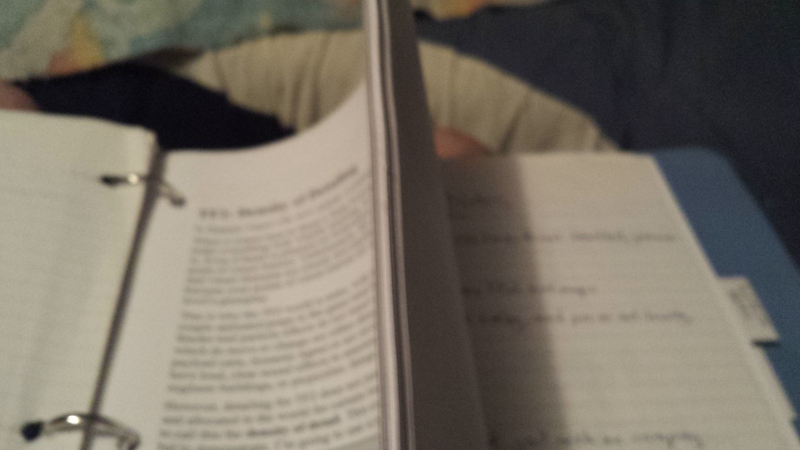 Here, Ill show my mine as an example. I started with the idea of 'bosses' because I like fighting bosses and the pd_egan_72 entry from Jan 2015 seemed to suggest that the idea could work somehow. A while ago in the steam group chat I talked with Fanta & Ibex at 3 A.M. about the desire for the juggernaut gamemode like dm_egan to work better and Fanta suggested just having one boss per team - and that idea lingered till now. I thought about doing one boss per team in the form of a single flag pickup that shapeshifted the holder into a boss target and somehow he was important to the gamemode. It could be koth, I write. 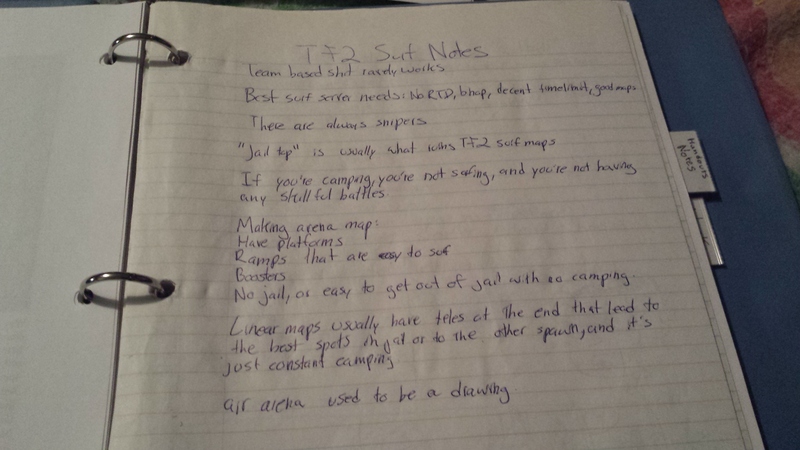 I wrote down suggestions and ideas that popped into my head to counter the points and ideas, etc: Why are bosses important - koth so maybe the timer goes down each time a boss dies - what if the 'boss' was a noob scout who picked up the flag and died, would be like sabotaging his team - what if there were multiple flags then, one for each player on the team, or you could 'opt-in' to the boss system at a price.. 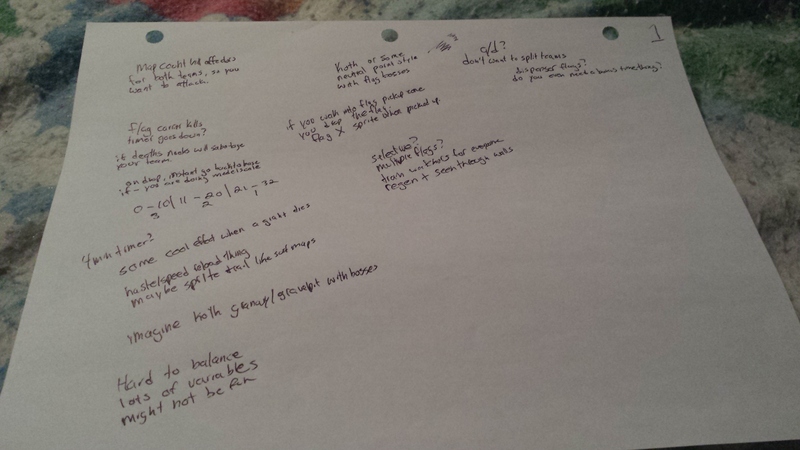 I figured there were a lot of variables I could tweak and maybe a different idea would be better. This was poking into the desire of strict deathmatch-inspired gameplay that I am (apparently) looking for. The idea was to, as shown, have a kill count on your screen (like pd_watergate_b5) and an ability to deposit these kill amounts slowly into the koth point to decrease your timer even more - kills would be important in koth. I should mention now that I am not too much of a fan of regular koth because it generally doesn't matter if I live or die, as long as we can defend the hill. It might be a pub mindset, and in that sense not wholly true, but typically you can get a kill and die and that's fine.. In arena mode on the other hand, not only is your survival incredibly important but just hitting some damage on enemy players is important, your life matters so much more, and it's awesome. The more I thought into this the more I realised I was just digging myself towards the gamemode of the current pd_watergate where you can collect beers from dead players and deposit the potential to score actual points. I then go on to briefly ask myself what was wrong with WG. So, this is now going back to the idea from page 1 where there are multiple flags, but in this mode it would be everybody's first life. So, you spawn into the map, koth timer set to like 1 or 2 minutes.. everybody is given minor buffs and staying alive is important, if you die you lose your buffs till the next round - would be unlike arena where people don't respawn and get annoyed. 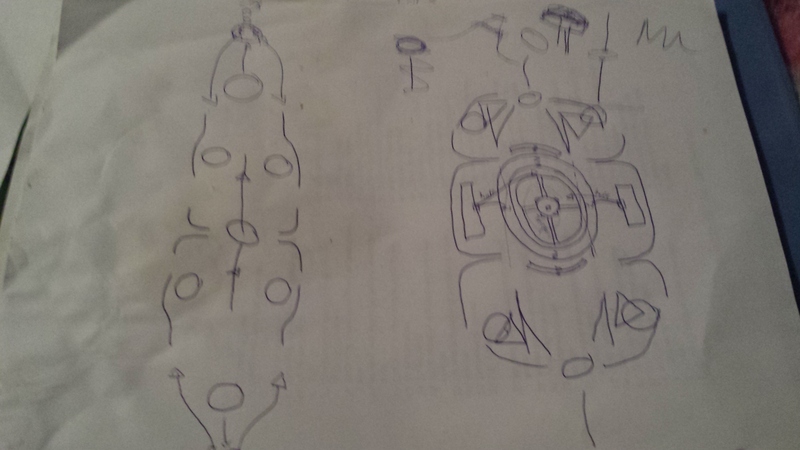 I discussed the potential boss buffs and the pros/cons of each, and I even starting thinking of the sketch for the map overall. 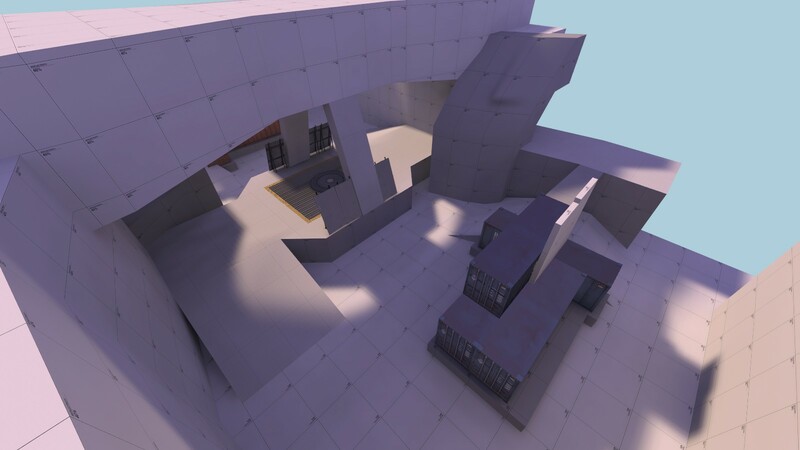 Would be a koth map with a mid similar to Viaduct, Granary, & Highpass, and connectors similar to arena maps like Offblast. Of course come time of the contest I would redo the layout; it's easy to remake a layout once you know it works, once you know it feels good in-game - rocketjumps and the like. Up until this point I was generally unsure if I was even going to participate in the 72 hour contest, I wasn't feeling so hot after spending so much time developing the gamemode for WG, and I didn't really want to commit myself to anything major so close to the start of the school semester (since I found out while developing WG that it's difficult to keep your grades up and make a map full-time). 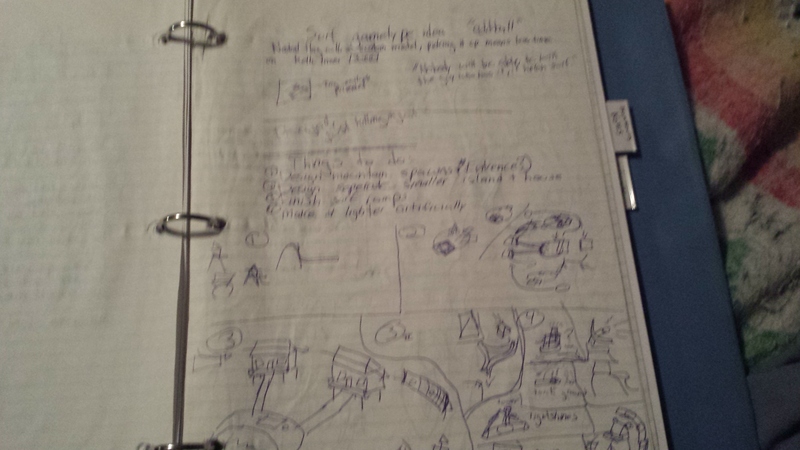 On Thursday, the day before the contest I went back to the drawing board and thought about the gamemode some more so that I'd be more confident about it. I thought about Badlands' and Viaducts' routes in line form. 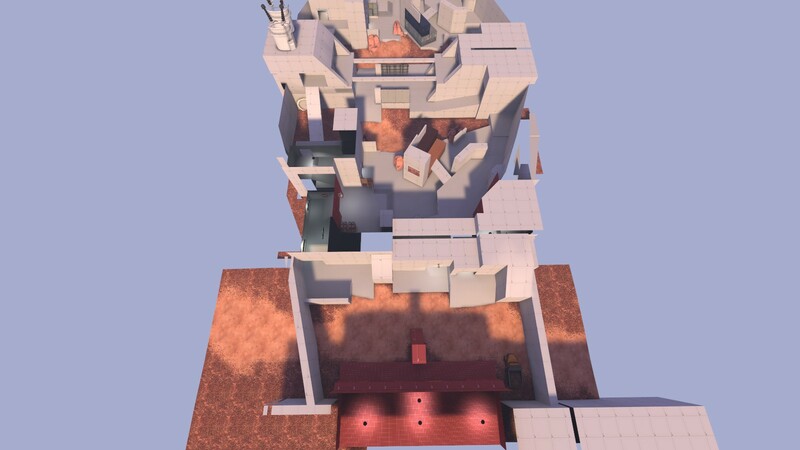 I circled the major fighting areas, I thought about the feedback that I left on maps like cp_overhang & pl_sandsnake - that a point is more fun when it's not just an empty space, when there are buildings in and around to push into, to act as a team does. In sandsnake how it was very fun to make it easy to attack a capture point but make it hard to secure it for your team, how A point on mountainlab feels with its long cap-time. I literally just imagined a cool space in my head and drew it as I saw it - Hydro-ish but not so close to koth_highpass that bloodhound would question our friendship. 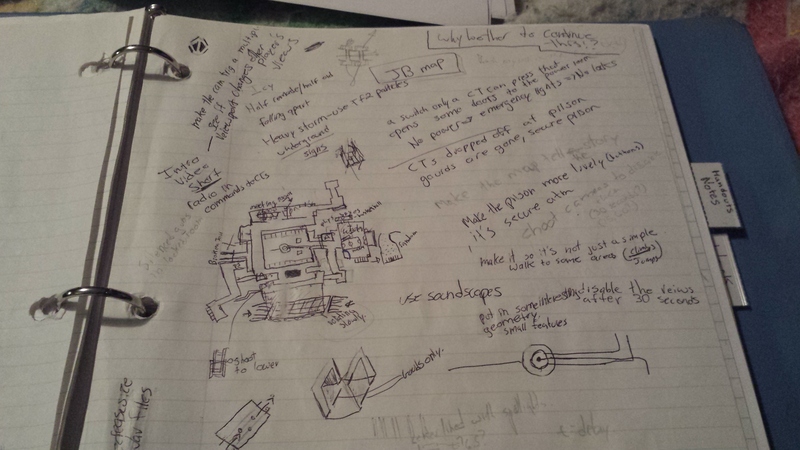 So here's the final bits of koth_egan_72, as it says it would be a mix of Hydro and Badlands. High routes around the point area for cool aerial combat, and 'automatic height' routes that naturally led players above mid. 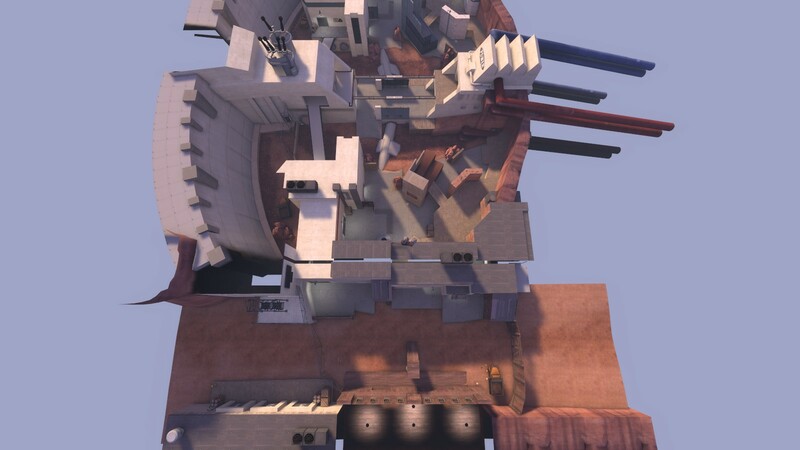 There would be tight beams across the top of mid, firstly because that's unique and rad, but also because it gives a place to land on as soldier but it's not overpowered since snipers can easily hit you from afar. The stuff layed out dimly in light lines was stuff I was generally unsure of - stuff I'd figure out once the rest of the scale manifested in hammer - I'm sure someone knows what I mean. 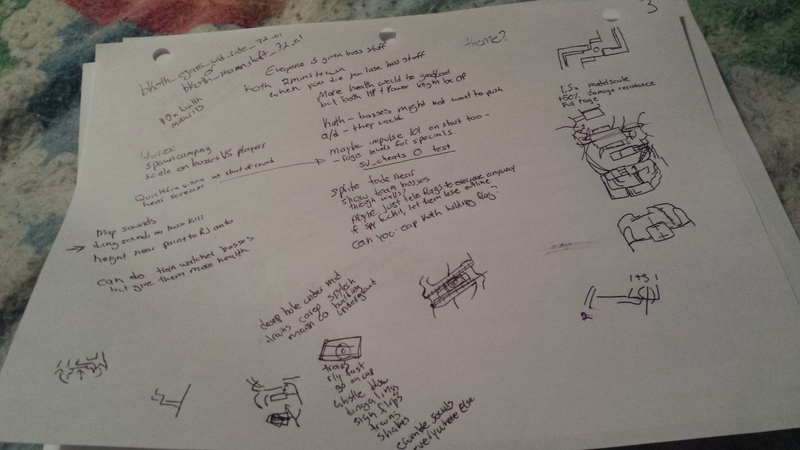 And the overall layout generally stayed the same as I imagined it, I'm actually pretty proud of it. I feel like I'm a bit over-glorifying the idea of my 72 hour entry, especially as no one else seems to be doing this, but I think context is always good. 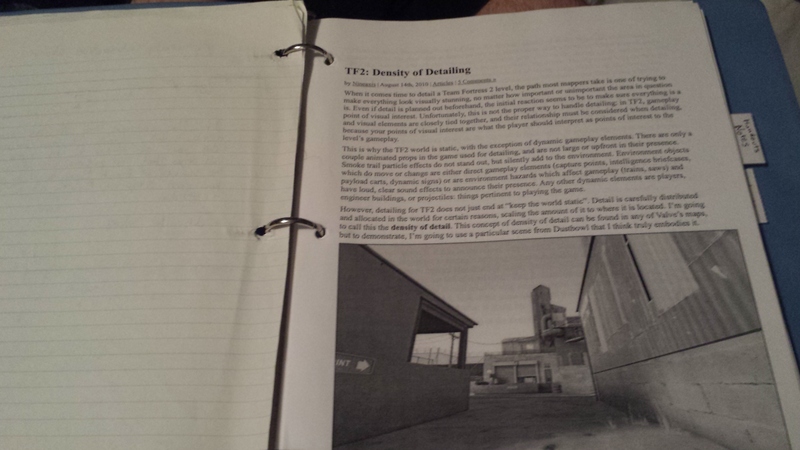 I was a bored highschooler so I printed out the entirety of nodraw.net at the time to make it look like I was studying, little did they know I was studying tf2 maps!! lol... I start with a name a thematic premise, like PL_cooler. (which originally was set in the afternoon, then I saw the PL map with the alien capture point and went I want to do that. also... some of your pictures failed to load, in the aspect of the pictures don't not pop up the picture is actually bigger, here see it. I'll get some pictures of my sketches when I'm at my desk. eh... still learning how to select quote. 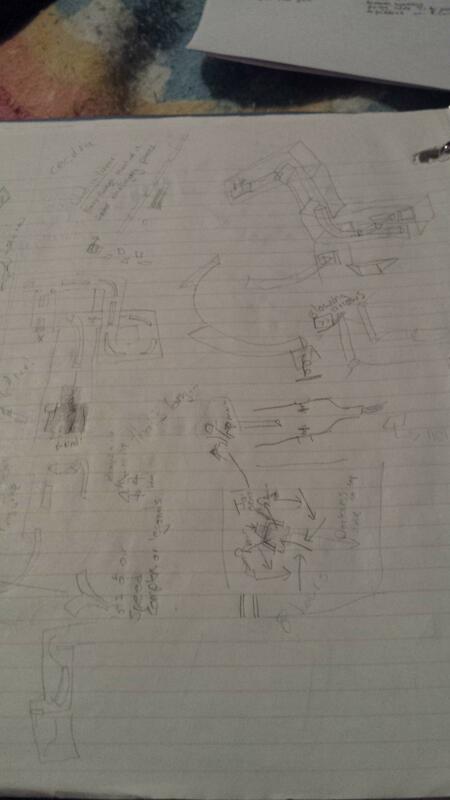 I haven't planned a level on paper for years. Going straight to 3D planning is the way to go. The one thing source has over other game engines is hammer's amazing bsp tools. They're perfect for sketching. It's just about all the source does well. And the only engine that does. Heck even John Carmack called them brushes because he likend their usage to painting with geometry. Just to add to what YM said, going straight into the editor is really great because you can immediately experiment with different geometry for the same area, but make sure you're not over analyzing stuff. It's alpha 1, it's going to have problems whether you like it or not, and as long as none of those problems are server breaking you'll be fine. Don't try to make everything perfect or else you'll lose steam real fast and get stuck in a hellish loop of opening the editor, working for 20 minutes, giving up and closing it, opening it a couple minutes later, repeat. I have been stuck in this loop for over 3 years and I managed to release one map that was so over thought out and linear that it wasn't fun at all. Planning on paper often results in a flat area as you cant draw the 3rd axis (even if you do a 3d way you still lack the sense of depth and can misalign things that way). And drawing bridges becomes even worse. 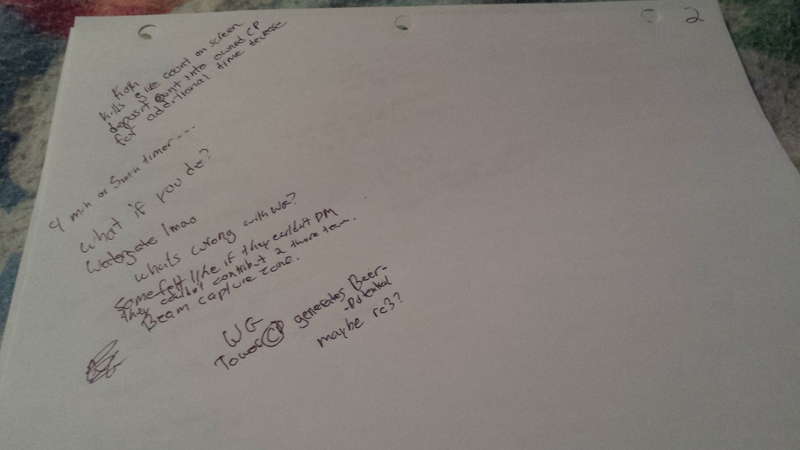 Its mostly going wrong when people use paper with a grid as they allways will use that grid as a guideline. And this is just a bad thing as it gives messed scaling. You draw with 256 wide blocks, yet in hammer you often will even go to 16 wide blocks. 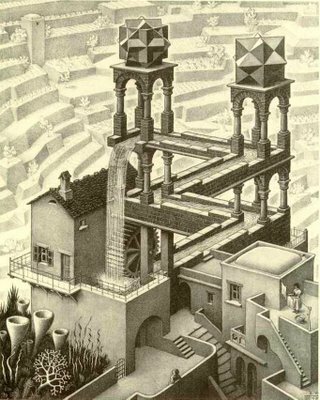 This was the original idea of the map. The heights being similar to that of coaltown. But exact heights werent realy planned and were to figure out ingame. I marked those with a darker background. to at least set the idea a bit more clear. The idea was slightly rushed as i at that point rather would have been going for wave design. 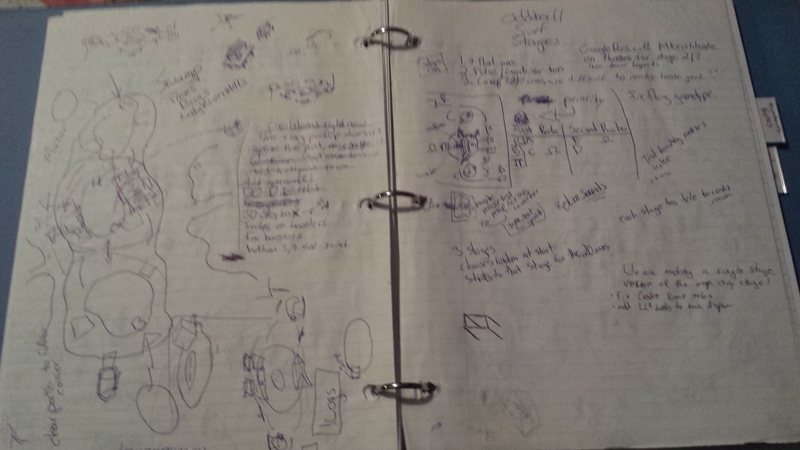 And also since snowbat was going for its initial build i had to try to explain it to him. Although at some point i just completely took over and changed most of the brushwork. The end result now only shows a few key points, but most of it was still rebuild from scratch. After its first build in hammer the front just didnt end up the way it should be. 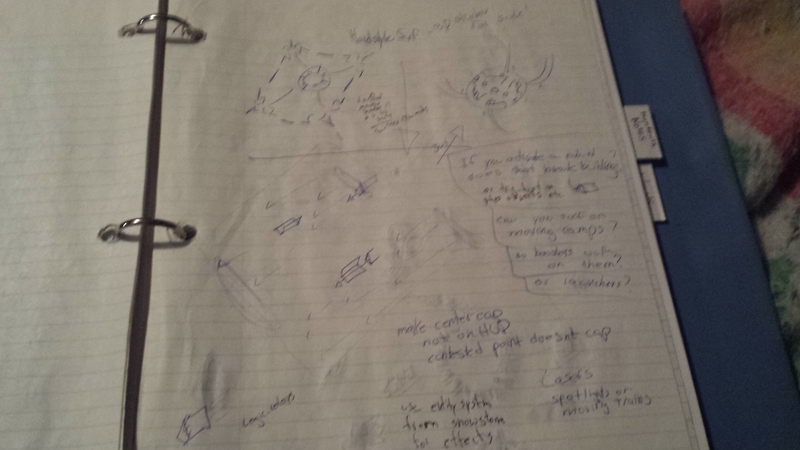 it was messy and the perfect example of why i rather dont draw ideas on paper. So for the front i took a better approach and also did ensure i did draw it in a better way. This spawn was the one i went for and is still in the map. For intercept i just liked the idea that i only had to go for its gameplay (as slow/poor detailer this is realy liked). 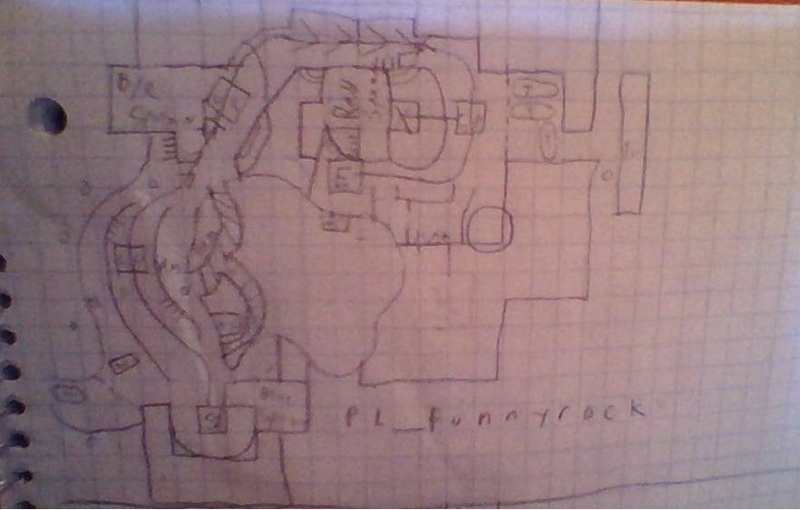 And i did draw a rough shape of the map. 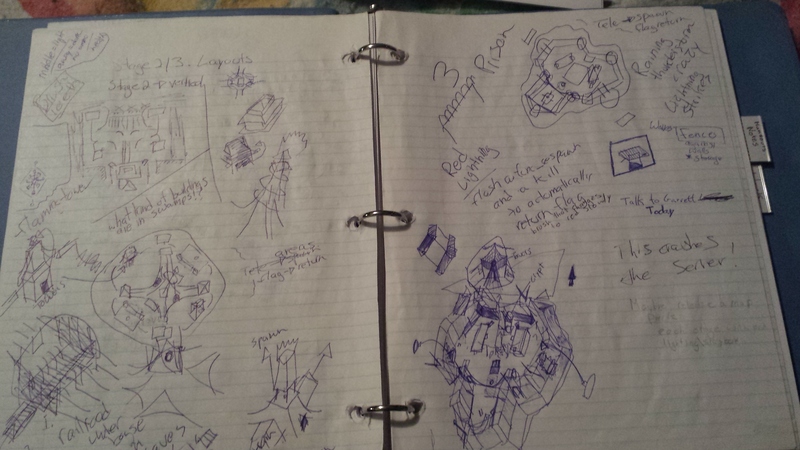 It was mostly used to plan events of captured control points. The idea of the buildings was based on a festival where you were outside all the time and only inside near the control points (which would be stages). This still wasnt realy the solution as it didnt match the gravelpit style i wanted. So i did set the map aside. Then the 2skillset contest was announced. Personaly for me this realy was the reason to start with. 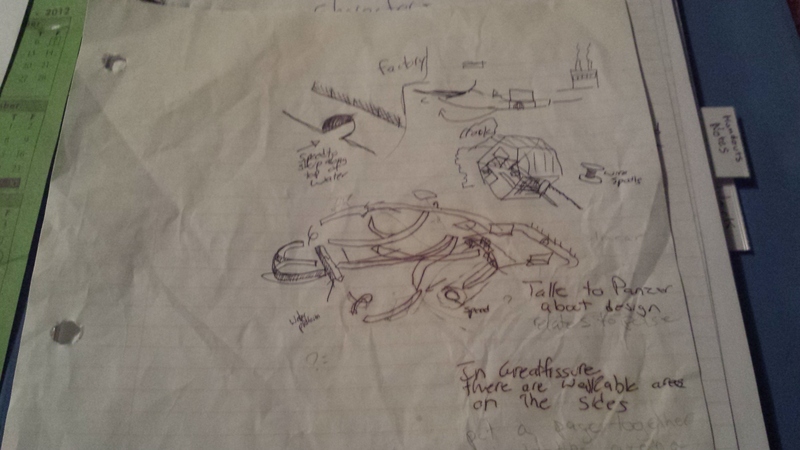 no longer i had to set an idea for the end result of the map. I just completely ignored that step and only left some rough wide shapes of buildings that could be used for detailing. I now completely focussed on getting the map working. This was the trigger to start building. And its result was worth it. However, after the contest no one has detailed it (i wasnt surprised with all the entity work in the map). So i tried to go for a new style that valve picked. A moonbase. But this showed a major problem, i am poor at detailing and worse at creating entirely new styles. I realy need a good idea to be able to detail a map well. 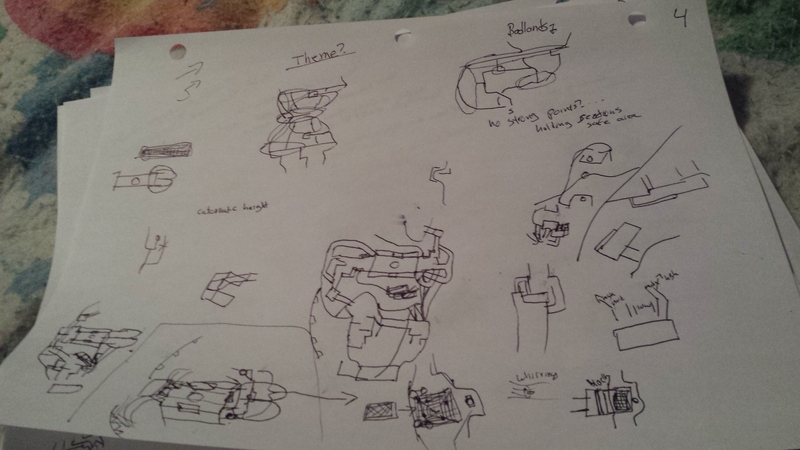 I did try the moonbase stuff at first, but it just didnt end up the way i wanted it to be. I dropped that style and instead waited for something fresh. That became egypt style. 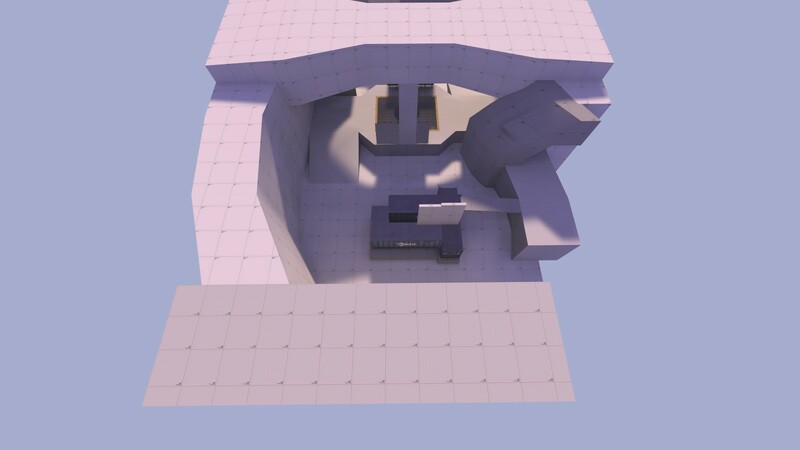 A style i now still use and will finish the map with. I also did place that drawing on a linear angle to the map (instead of 90 degrees) as 1 issue was that people just blindly walk forward and then get lost at C (pun intended). However, i liked the angle in the map. Since the front area had a very good result with instances to get some rotated brushwork (and it worked very well there!) 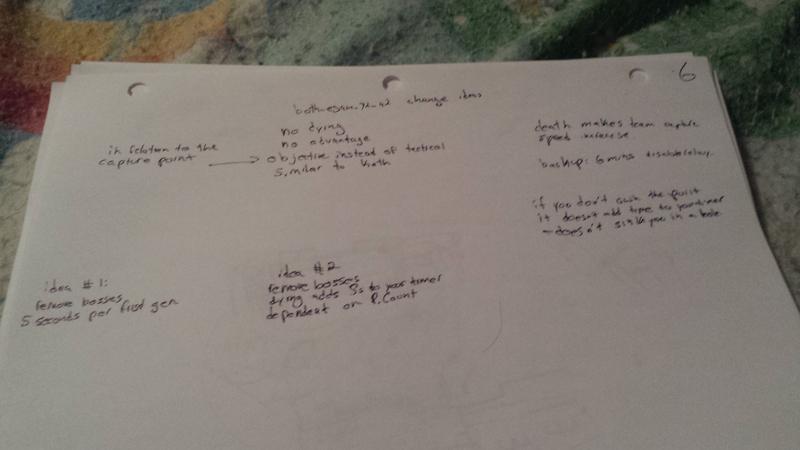 i also decided that this last point should be open to end up rotated. Thats why the connecting parts to the dish area werent well drawns. its something that i had solve enforce in hammer itself. Two sketches from the making of Mom. Neither is particularly in-depth, but they helped to work out some problems in my head.